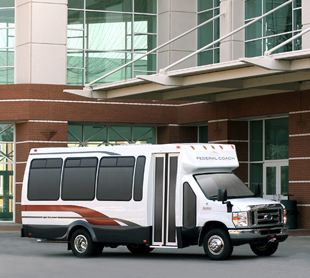 National Bus Sales is a nationwide distributor of used and refurbished shuttle buses, transit buses, daycare buses, non-CDL buses and ADA buses. We sell a variety of makes and models including: Starcraft, Glaval, Federal, Diamond, El Dorado, Champion, Grech, Elkhardt, Coach & Equipment, Krystal, Startrans, Turtle Top, General Coach and Arboc. , etc. With our large inventory and refurbishment department, we can meet all of your transportation needs. Check back often as our inventory changes regularly. Call 1.800.475.1439 and ask for the commercial department, ext. 319 or email to help find the right equipment for your organization.